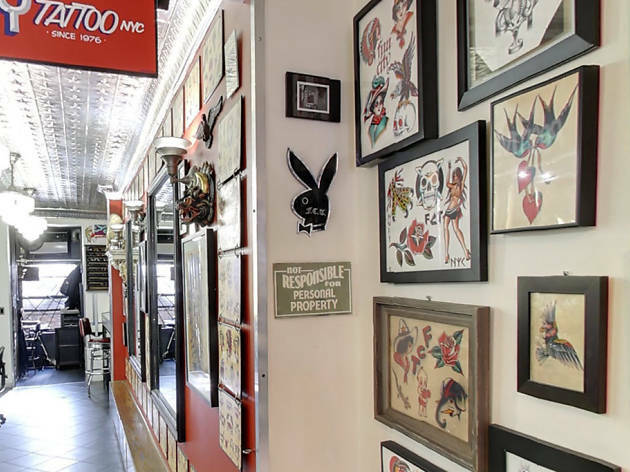 Jonathan Shaw started inking locals from his apartment nearly 40 years ago (back when tattooing was illegal) and then opened the storefront Fun City in the early ’90s. The legendary figure has retired to South America, but his New York City institution—which has served the likes of Johnny Depp, Jim Jarmusch, Dee Dee Ramone, Miley Cyrus and Iggy Pop—continues its operations in the East Village. The shop has a $100 minimum and hourly rates range from $250-$300, so don’t be shy about approaching them with your freakiest requests: One patron stopped by asking to be turned into a panda (with blacked-out eyes, nose and ears).